It is a real honor and privilege to welcome Angel City Chorale’s Artistic Director, Sue Fink, to Jake’s Take. She founded the choir in 1993 at McCabe’s Guitar Shop in Santa Monica, California. While Angel City Chorale started out with just 18 members, it currently has over 160 members from diverse backgrounds. Their mission is to build community one song at a time as they perform a plethora of musical pieces that range from pop and R&B to gospel and world music. Earlier this summer, Angel City Chorale delivered an epic performance of Toto’s “Africa” on the Pasadena Civic Center stage during America’s Got Talent (AGT): Season 13’s Judges’ Auditions. The audition not only received a standing ovation from series creator and judge Simon Cowell, but it has been viewed nearly 3 million times on YouTube. That initial audition led them all the way to the Season 13 semifinals at the Dolby Theatre. 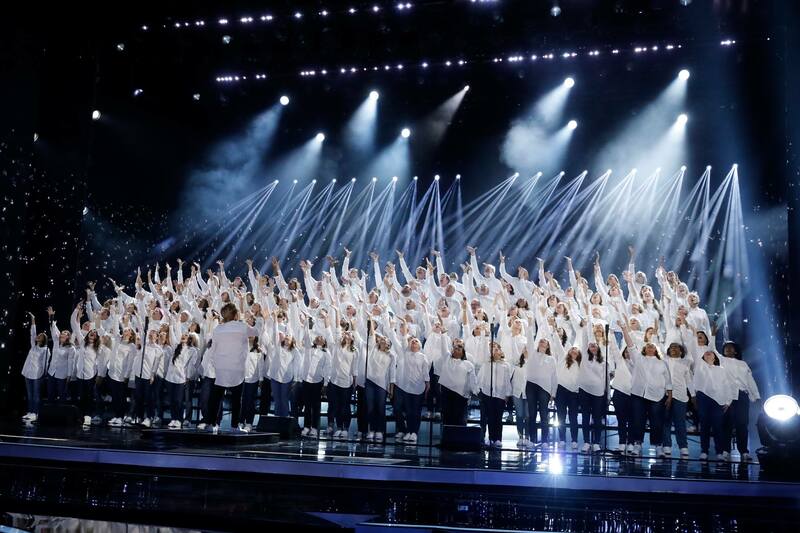 In this edition of A Conversation, Sue opened up about the challenges that the Angel City Chorale overcame during the Dolby Theatre live shows and shared significant behind the scenes insight regarding some of their most memorable performances. 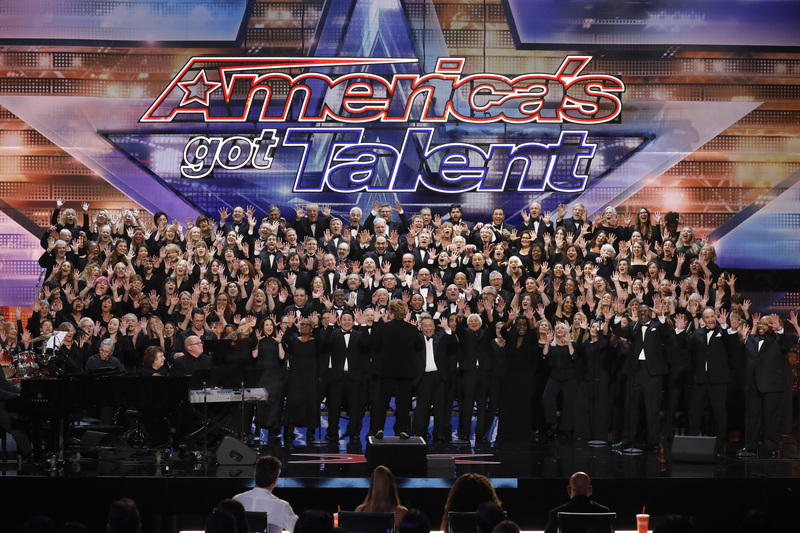 Jacob Elyachar: When did you get the idea for Angel City Chorale to appear on America’s Got Talent? Jacob Elyachar: Could you describe the choir’s reaction when guest judge Olivia Munn pressed the Golden Buzzer during the Judges Cuts round? Sue Fink: We were completely shocked! Especially me, who didn’t know what the Golden Buzzer was. We had chosen our song over protests from the producers but decided to go with it because we thought it best represented us. “Baba Yetu” (“The Lord’s Prayer”) sung in Swahili by composer Christopher Tin. It was like being in a dream feeling the golden confetti falling and seeing the joy dawn on all our faces. Thank you, Olivia Munn! Jacob Elyachar: What were some of the challenges that the Angel City Chorale faced during the AGT live shows? How did the choir overcome those obstacles? Sue Fink: Challenges! Asking folks with families and day jobs to rehearse night after night. Song selection and wardrobe discussions with the AGT producers, teaching our members with physical differences the choreography, making decisions for solos and then having to remove them by AGT request for a choral-only presentation, helping all our members with personal issues that arose, writing arrangements quickly, etc. Yen King, our in-house producer, really helped with all of this. Then we wanted to make the most of our exposure, and many members worked hard to help with publicity, merchandise, CD prep, and social media outreach. Financially, we had to cover almost all the costs ourselves, which was considerable for a large group. But, I must say, the group worked with great spirit and community. We repeatedly expressed to the producers that we wanted to maintain our principles. We won many battles, and lost a few, but handled all of it with good nature. Jacob Elyachar: Two of the choir’s best performances, “This is Me” and “The Rising,” came from the live shows. During both of those performances, you had the Dolby Theatre audience participate. Why did you decide to join in those performances? Sue Fink: During the initial “Africa” performance I had the audience do the rainstorm with us. The producers loved that and wanted to continue for the “This is Me” performance, so the audience was given drums. That was AGT’s idea. I gave them the idea for the flashlights for “The Rising” to represent all of us searching in the dark for the survivors and then to symbolize the joy of finding light in the dark times. I regret that the part of the prepackage that we recorded where I explained: “The Rising” and our reason for singing it was edited out. Jacob Elyachar: If you had the opportunity to meet with other musical groups who want to audition for America’s Got Talent, what advice would you share with them? Sue Fink: Remember its TV and not real life! Do it for joy and the experience and see where it leads. Know who you are and what makes you unique. Be able to show and explain it in less than a minute. Practice your craft and find 20 seconds of performance that will demonstrate precisely who you are. Think in progression. Take your audience on a ride that tells a story. Don’t be a one-trick pony but develop your act like chapters in a book. Each complete on their own but takes folks on a journey. Find what is universal in what you do and what will your audience identify with. This last one is personal-Do something that makes us all the better in some way for you doing it. Jacob Elyachar: How can my readers support the Angel City Chorale? 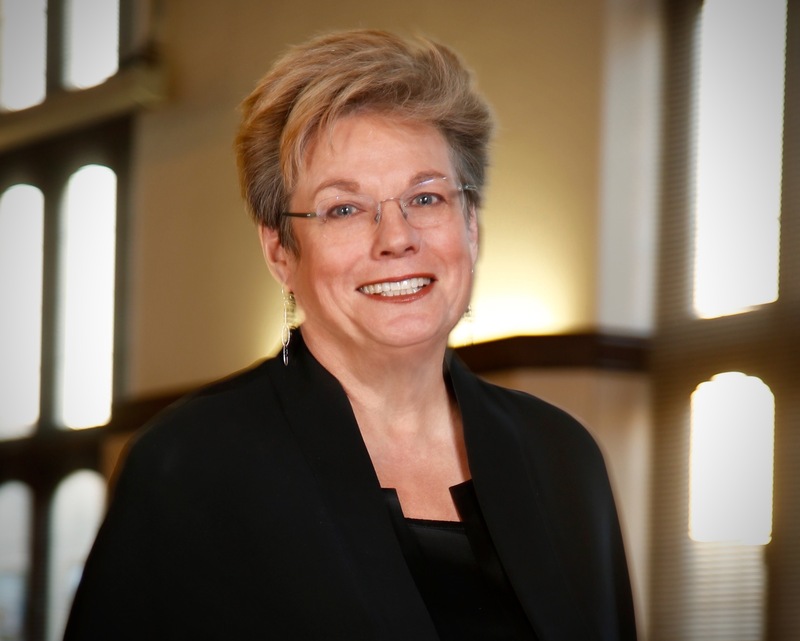 Sue Fink: Go to our angelcitychorale.org website, where you can find our music and donate to help further our mission of building community one song at a time. You can also follow us on Facebook and on Twitter at @AngelCitySings. Thank you! Great performances!!! Should have won—-best vocals ever. Please make some CD’s so I can buy them. I have every song available to be downloaded, but I want more—especially want you to record my favorite of yours—Circle of Life. Nobody sings that like you do, but I cannot find anywhere where I can get it . If you ever get to Chicago, I will be there for sure as will everyone I know. I have been an admirer of ACC for Years! Brilliant! Would a Christmas CD or download be a possibility? I think that would be stunning! Thank you all for your hard work and sacrifice for your mission. It is very much appreciated. Sue Fink, today is November 10, 2018 and I have just spent hours listening over and over again to your Angel City Chorale performances. I am a choir member in a church in McKinney Texas. Your music and your mission and your heart just bowls me over. I have shared it again and again. I tried to figure out what makes it so AMAZING. It is your musicality, your choice of music, the movement of your choir, the relevance of it to TODAY IN OUR WORLD. Oh, Sue, we so need a YOU or many of YOU. You have captured something so elusive and so precious. I cannot thank you enough and I would give most anything to sing under your direction just one time before I am go to Glory. I so love you.